For some, moles are considered beauty marks or birthmarks. But for others, moles can be more pronounced and unsightly, prompting them to look for ways to get rid of them. Moles, also known as nevi, begin as flat, brown spots on the skin and gradually grow and emerge above the surface. They can develop on any part of the body, including your armpits, under your nails, and between your toes. Most moles are a benign overgrowth of pigment cells called melanocytes. Usually, the melanocytes are distributed evenly throughout the skin. When these pigment cells start to clump together and form clusters, they take on the appearance of moles. Moles come in a variety of colors, shapes, and sizes. Usually, they’re the size of an eraser and can be oval or round. 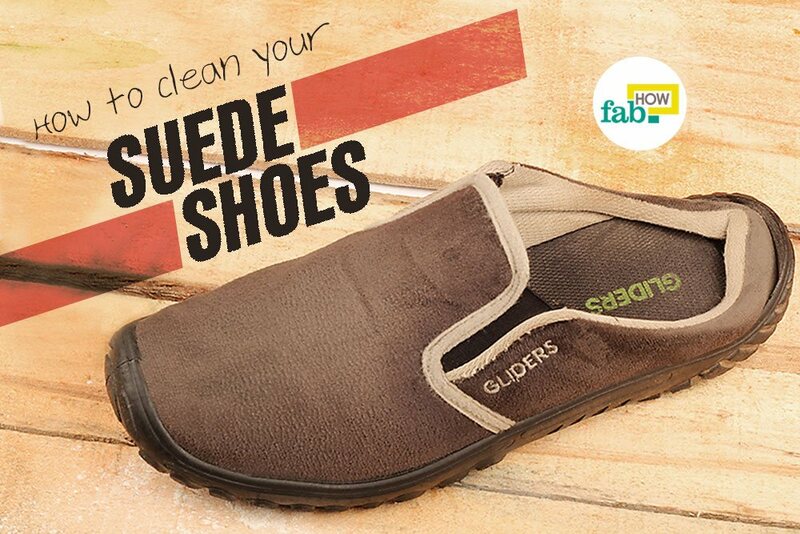 They can be flat or raised, smooth or wrinkled. Depending on an individual’s skin color, moles can be tan, brown, black, red, blue or pink. The appearance of moles can change throughout one’s life, but some changes can indicate skin cancer, including the life-threatening form of melanoma. An asymmetrical shape, uneven coloring or a significant change in the color of a mole could indicate cancer. Remember the ABCDE rule for suspicious moles. Asymmetry (half of the mole will not match the other half), Border irregularity (borders of the mole will look irregular), Color that is not uniform throughout the entire mole, Diameter (greater than 6mm), and Evolving (this refers to size, shape, or color that changes). Cancerous or precancerous moles are also indicated by tremendous growth in a mole (becoming larger than 6mm). Drastic changes could mean that the mole is evolving into a cancerous growth. 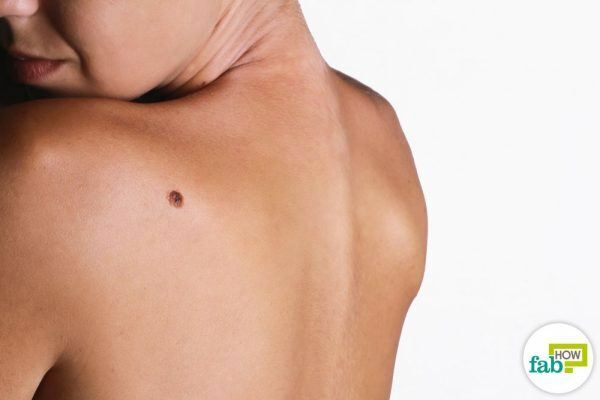 Excessive exposure to sunlight can also make a mole cancerous. Consult a doctor if a mole becomes painful, itchy or develops a burning sensation, oozing or bleeding from the mole. Consider seeing a doctor if you develop a new mole after the age of 30. Mole removal is usually performed due to cosmetic concerns. Professional mole removal may involve freezing or burning off the mole cluster or surgically removing it. At home removal is considered safe, but first, you need to get your mole checked out by a dermatologist to ensure that the growth is not cancerous or precancerous before attempting to remove it yourself. Once you’ve established through your dermatologist that your mole is benign or noncancerous, you can use some simple home remedies to get rid of that thing completely. These remedies will destroy and dry out the cell cluster, making the mole scab over. The scabbed mole will then shed, and the wound will heal on its own. In a majority of cases, there will only be the faintest of scars. You can get rid of these scars with natural remedies. Here are five methods to get rid of unsightly, benign moles. Apple cider vinegar is mildly acidic, due to the presence of acetic acid in it. It also contains malic acid, tartaric acids and alpha hydroxy acids that are beneficial for acne and similar conditions. 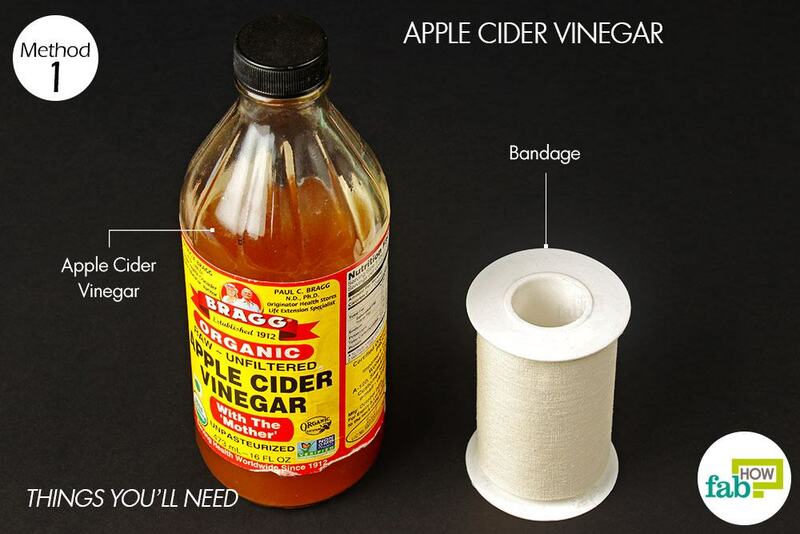 Apple cider vinegar essentially burns the skin of the mole, causing it to scab and fall off. This process is not as scary as it sounds and is actually painless for many. Some may feel a stinging sensation. Always use raw, unfiltered vinegar. Processed and refined vinegar often contain chemicals that may harm the skin. Soak a sterile cotton ball in raw, unfiltered apple cider vinegar. Place the soaked cotton ball over the mole, and secure it in place with a bandage. Rinse the skin area with water in the morning to ensure hygiene. Repeat this remedy until the mole becomes completely scabbed over and looks ready to fall off. Then, discontinue treatment and let the scab fall naturally. This may take 4 to 5 days. Use a fresh bandage every time. This remedy stinks, but only because of the pungent smell of the garlic. The enzymes present in garlic can help break down the cell clusters as well as the pigmentation of the mole, causing the dark mass to lighten and spread out. 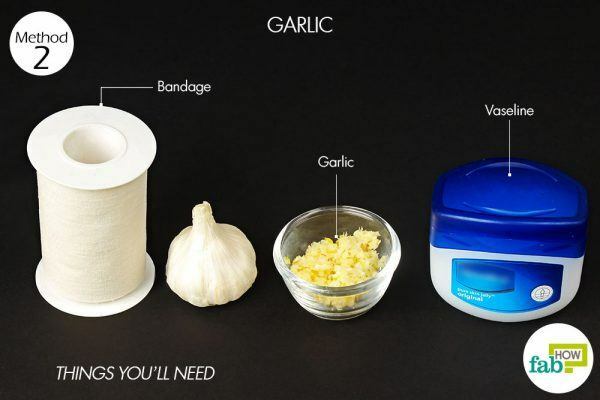 This also makes garlic beneficial for removing warts. Garlic also curbs excess melanin production, preventing dark scars from occurring after the mole is removed. Since garlic has antibiotic properties, there’s also a reduced risk of infection during the healing process. However, it may cause a burning sensation. You are advised to protect the skin around the mole with petroleum jelly when using this remedy. Apply Vaseline on the skin surrounding the mole to protect it from irritation. Cover the mole with the minced garlic, and put a bandage over it to hold it in place. Leave it on for 4 to 5 hours. If your skin can withstand it, you can repeat this remedy twice a day. 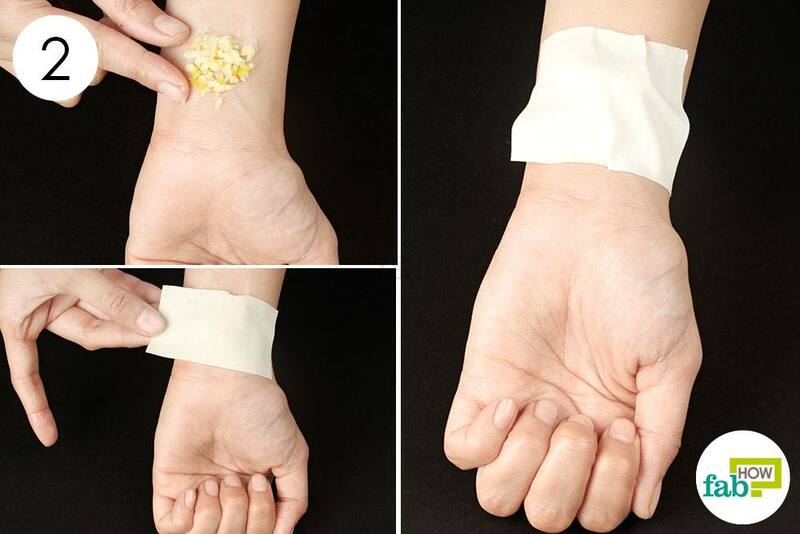 Replace with a fresh bandage every time and continue using the remedy for a week. If your mole completely scabs over before this, you can discontinue the garlic application and let the scab fall off on its own. Iodine is a much gentler remedy than apple cider vinegar or garlic. It also will not irritate or dry out the surrounding skin and has little chance of scarring. However, your mole may take longer to scab over with iodine remedy, so you’ll need some patience with this one. 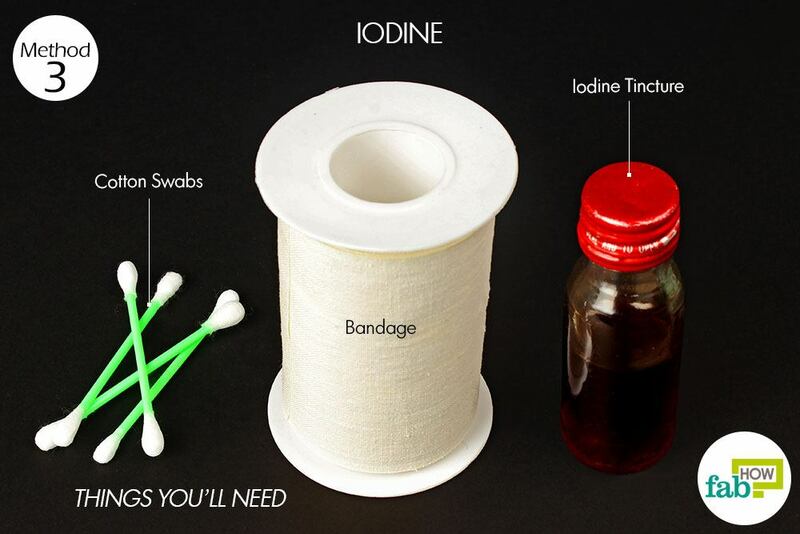 Dip an end of a sterile cotton swab into the iodine tincture. Use the cotton swab to apply the iodine tincture on the mole. Avoid getting too much of the iodine on the skin surrounding the mole. Cover the iodine tincture on the mole with a bandage. Leave it overnight or longer. Replace with a fresh iodine bandage once daily for 1 to 2 weeks. Discontinue use when the mole is scabbed over, and allow it to fall off on its own. A baking soda solution made with water or any other solution is capable of drying out your mole, making it disintegrate over time. 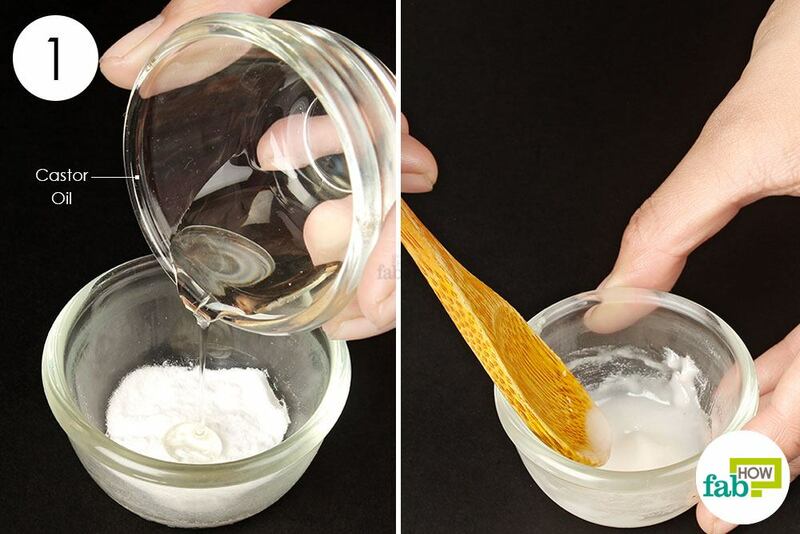 Baking soda gets rid of the pigmentation in the area as well. The best and safest way to use baking soda for mole removal is to mix it in castor oil. Castor oil itself can remove the mole with a regular application over a long period of time. The oil is known for its ability to penetrate deep into the skin, which makes it beneficial for treating raised moles. 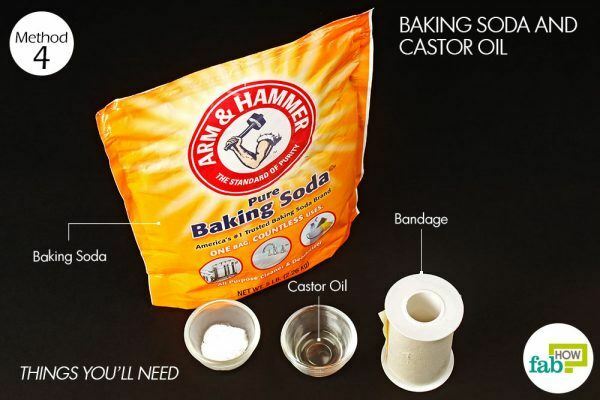 Add 1 tablespoon of castor oil to 1 tablespoon of baking soda. Mix the ingredients thoroughly to make a paste. Apply the baking soda and castor oil paste on the mole, covering it completely. Be sure not to scrub the paste over the mole, as it can irritate the skin. Secure the salve in place with a bandage. Repeat this remedy daily. The mole will scab over and heal with time. Depending on the size of your mole, the healing process may take up to 4 to 6 weeks. Popularly used for disinfecting cuts, hydrogen peroxide can also be used for mole removal. With continuous usage, it burns through the cluster of cells in the mole. 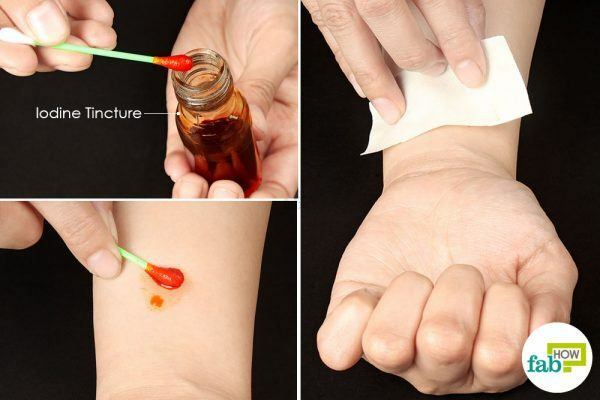 Since it is a medical disinfectant in itself, it prevents any infection in the wound. Its bleaching properties also eliminate the hyperpigmentation in the mole cluster. 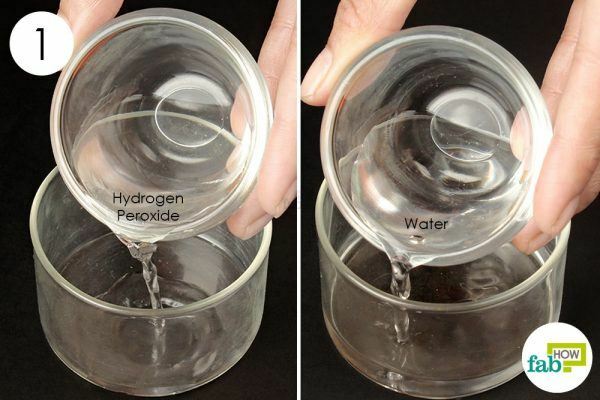 Pour 1 tablespoon of 3% hydrogen peroxide into a small bowl. Add 1 tablespoon of water to it. Mix the liquids to dilute the hydrogen peroxide. Apply the diluted hydrogen peroxide on the mole with a sterile cotton swab. Repeat the application 3 or 4 times a day for at least 5 consecutive days to let the mole scab over. Then, let the scabbed mole shed and allow the wound to heal naturally. Always check for skin sensitivity toward any remedy before actually using it. If the remedy irritates your skin, it’s not an ideal solution to remove your mole. If the mole sheds only partially, let the skin heal completely before using any remedy again. Apply a fresh bandage every day to ensure proper and healthy removal of the mole. Change the bandage if it gets wet. If the mole takes longer than a week to scab over, allow the skin breathing time by giving it a break from the treatment for a few hours at a time or overnight. 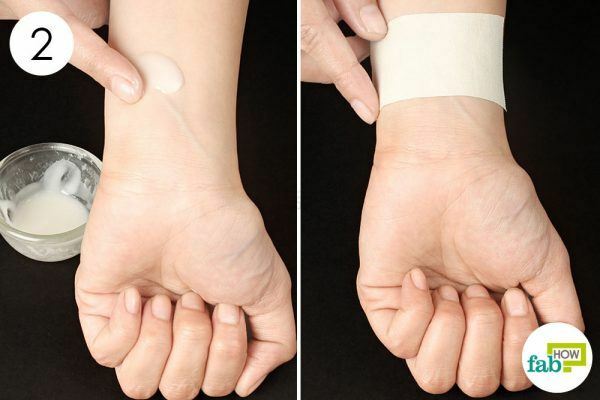 Keep the skin covered with medical tape or bandage.